While Disney does not offer traditional all inclusive packages, staying at many of the Disney resorts does come with lots of magical amenities that allow families to create a nearly all inclusive Disney package. Vacation packages that combine overnight accommodations, park admission, park shuttles and more are a great option to create a nearly all inclusive Disney package for your family. 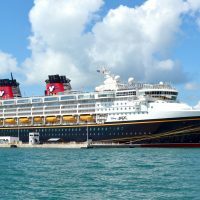 And if your family is willing to take the high seas over the theme parks, booking a Disney cruise is your best bet for finding a truly all inclusive Disney package. When staying at Disney’s Grand Californian Hotel & Spa, Disney’s Paradise Pier Hotel or Disneyland Hotel, families can enjoy additional amenities over those who may be staying at neighboring hotels or those who purchase park tickets only. If your family is staying at any of the three official Disneyland hotels, you can enjoy complimentary access to the hotel’s fitness center and recreational facilities. 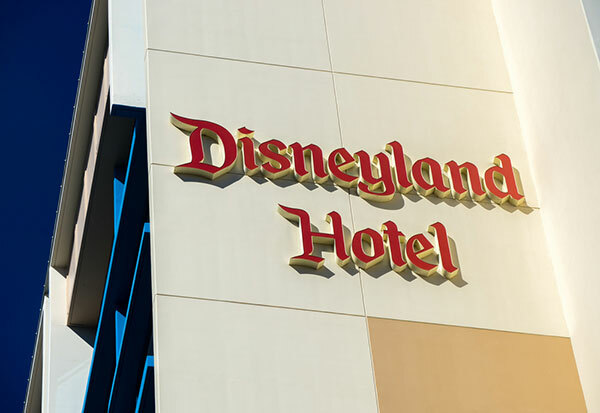 The entrances to the Disneyland Park and Disney California Adventure Park are only steps from the resort properties, too, making it super convenient for families. Families can dine with Disney characters or even spot a character as you are walking to the pool. Speaking of pools, kids will love the retro-themed pool at Disneyland Hotel plus the waterslides, rooftop pool and children’s pools all to be found at one of Disneyland’s on-property hotels. Movie nights, fireworks displays and amazing dining options are all excellent benefits when staying on property. Prices vary at the different restaurants for breakfast, lunch and dinner but the meal will never disappoint. Each member of the family receives a collectible one-park, per-day Disneyland park ticket to either Disneyland Park or Disney California Adventure Park. Families can upgrade to a Park Hopper Ticket for an additional fee. Hotel guests are granted early admission (one hour before the park opens) to select attractions within the parks during Magic Hours. Magic Hours exist on different days at each park. Families can enjoy this privilege each day of your hotel stay, based on the park schedule. A complimentary Disney Attraction Photo is a great memory to bring home after your trip, along with a free collectible pin, lanyard and luggage tag. Grab a bite to eat or watch the game at ESPN Zone located in the Downtown Disney District and families can receive a discounted game card and burger. Plus, a Magical Savings Card with 10 percent off merchandise in the Downtown Disney District is a nice perk, too. For even more convenience (and additional fees), families can add on air or ground transportation to the hotels or visit other Southern California attractions and tours. 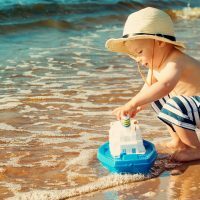 If you are planning to visit nearby theme parks such as LEGOLAND or Universal Studios Hollywood, see How to Save On Southern California Theme Parks. Enjoy the Disney magic your way when you stay at a Disney World resort with the Magic Your Way Package, which can be purchased through the Walt Disney Travel Company. The package includes Disney hotel accommodations at any of the 25 Disney World resort hotels, park tickets and a luggage tag keepsake for each person in your group. Plus, families can enjoy a lot of additional extras with this nearly all inclusive Disney World package. Each Disney Resort Hotel offers a variety of amenities and extras to its guests, some of which include child care services, spa and fitness facilities, in-room celebrations for birthdays or holidays that bring any guestroom to life, and of course impeccable service from the hotel staff. If your child has a favorite Disney movie or character, consider staying in a themed room at Disney’s Art of Animation Resort where the Finding Nemo and Lion King family suites can sleep six people and feature kitchenettes. Movie nights, tennis courts, beach volleyball and fireworks can be found at many of the Disney World Resorts. If the pool and water fun is something your family will love, try the 17-foot water slide at Disney’s Contemporary Resort. Also be sure to enjoy Chef Mickey’s character dining options, when staying at a Disney World resort. The kids get to say hello to their favorite characters while enjoying a delicious meal. Families will love to take advantage of the Magic Hour each day. Every day one park opens an hour earlier or closes later than normal and MagicBand or Key to the World card holders (which all guests receive upon booking this Disney vacation package) can enjoy select attractions with less crowds. The Magical Express Service will pick up your family at Orlando International Airport and transport everyone to the hotel. You can even skip the headache of baggage claim with this service, too, and have your bags delivered right to your room, rather than waiting for them at the airport. Monorail, bus and ferry boat transportation from the hotels to the parks is complimentary, too. Disney always makes sure its guests can get to where they need to go with little hassle. 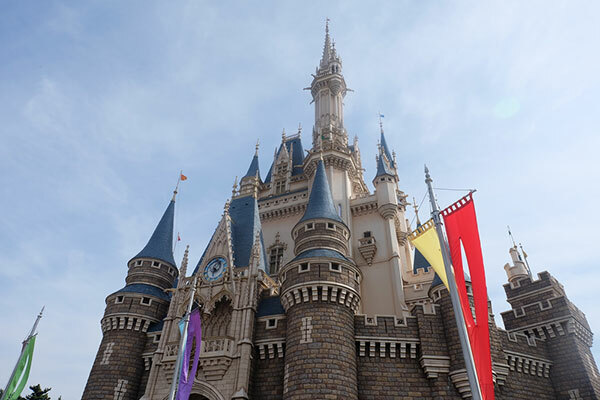 Families can receive discounts and vouchers for various things to do, places to eat and places to shop with this Disney vacation package. The Disney deals include miniature golf vouchers, ESPN Wide World of Sports Complex vouchers, discounts for bowling and water sports. Plus, they receive discounts to a few designated restaurants and shops. Once you have made all your purchases, you can have your packages delivered back to your hotel so there is no need to be bogged down by bags all day. Your MagicBand or Key to the World Card is convenient as well, since it triples as your hotel room key, park ticket and a charge card for all dining and shopping purchases within the resort. Whether you are looking for a quick two-day cruise or a longer 10-day trip, Disney offers a wide assortment of options. Families will find a true all inclusive Disney package when embarking on a Disney cruise. Families can choose a warm or cold destination, the Caribbean, Europe or Canada or even a journey through the Panama Canal. Disney Magic, Disney Wonder, Disney Dream and Disney Fantasy are the four ship options families can choose. Most Disney cruise packages include luxurious, family-specific accommodations, dining (including free soda, tea and coffee and 24-hour room service; excluding alcohol), live shows, themed deck parties, kids’ clubs, character meet and greets and adult access to nightclubs and lounges. If you decide to cruise to the Bahamas or the Caribbean, families can also enjoy the exclusivity of a private island when the ship docks at Disney’s Castaway Cay. Excursions are extra at Castaway Cay, but there is still plenty to do without spending additional dollars. Castaway Family Beach is an ideal way for the family to spend a beach day. Sand, water, live music, snorkeling, volleyball, a pool water play area, shuffleboard, basketball, giant chess and checkers and a teen center are all covered in this all-inclusive Disney package. A free tram will take families around the island and the free BBQ lunch is perfect island fare. Keep an eye out for any Disney characters roaming the island, too! And when the adults need some alone time, the complimentary island kids’ club, Scuttle Cove, is an ideal place to drop the kids. Kids will have a blast with the supervised Disney counselors while the adults head to the quiet, adults-only Serenity Bay to relax. Children ages 3 to 12 are welcome at Scuttle Cove.